Pleasant walk to an alpine lake in the Cobb Valley. 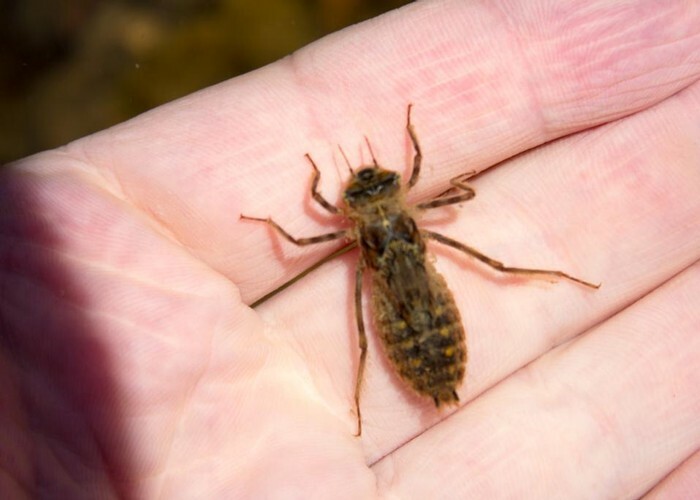 Dragonfly nymph • By Matthew. Licence: cc by-nc-sa. The Cobb Valley near Takaka is isolated by 15km of single-lane road built to service the reservoir and power station. The drive in is long and winding, but once you enter the valley, the landscape opens up around you with bountiful camping and tramping options. Lake Peel is a good introduction to the area. Lake Peel • By Matthew. Licence: cc by-nc-sa. The car park is on the left beyond the end of the lake, before Trilobite Hut. From here, a track crosses a meadow of grasses, harebell, and Maori onion into beech forest, and sidles quickly to Myttons Hut. Beyond Myttons, the track heads uphill, zigzagging occasionally and soon breaking out of forest into the alpine tops. A rocky poled path leads up to the ridge, past a junction and over to the Deep Creek Valley. The track sidles up the true left side of the valley, soon coming to the lake at its head. 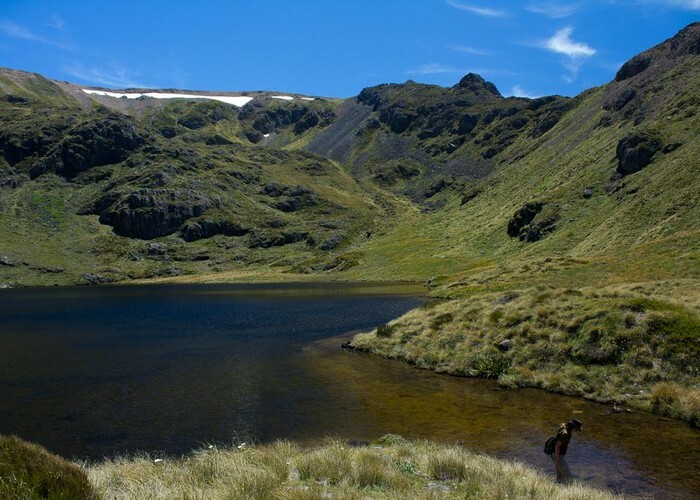 From Lake Peel, a trail continues south to the Arthur Range and the Leslie/Karamea Track.